Quite a cliffhanger we left off on, huh? 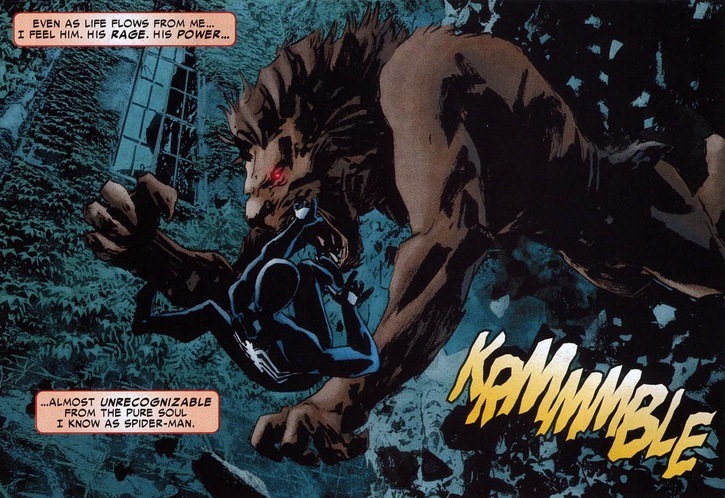 Maybe we should just be glad Peter Parker didn’t emerge from the grave as a lion/bear hybrid like that one Kravinoff. So what just happened? Kraven, for spending most of his life spearing hippos in the African grasslands, turns out to be pretty bright at spotting clones. That dead Spider-Man? 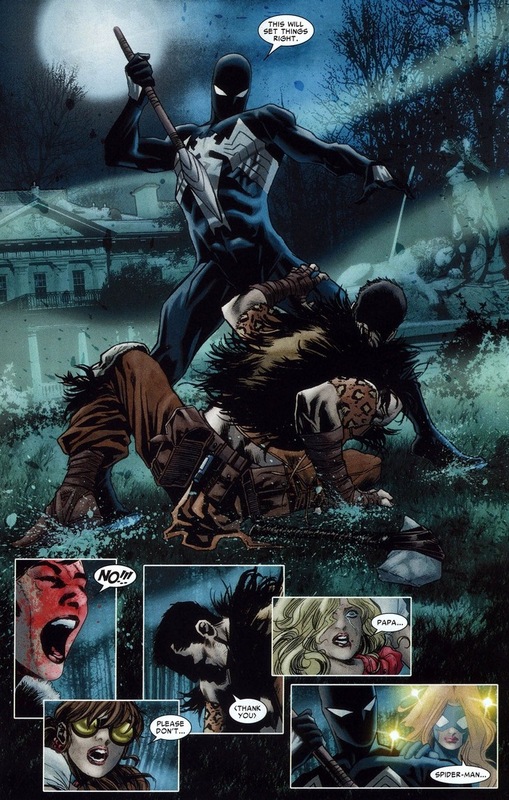 Yup, poor Kaine knocked out Peter and took his place, knowing that Peter didn’t stand a chance even in perfect condition, much less violently ill. 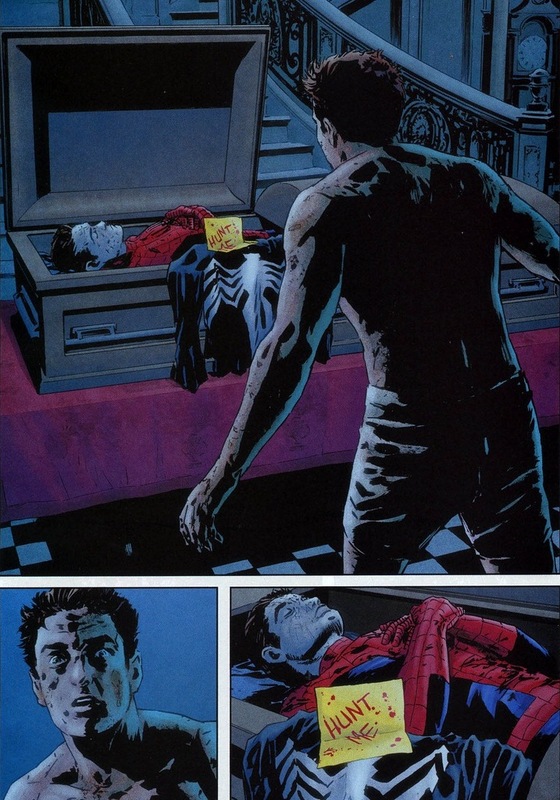 But buried alive gave Spider-Man a little time to think, and if Kraven wants his little game, well, game on. 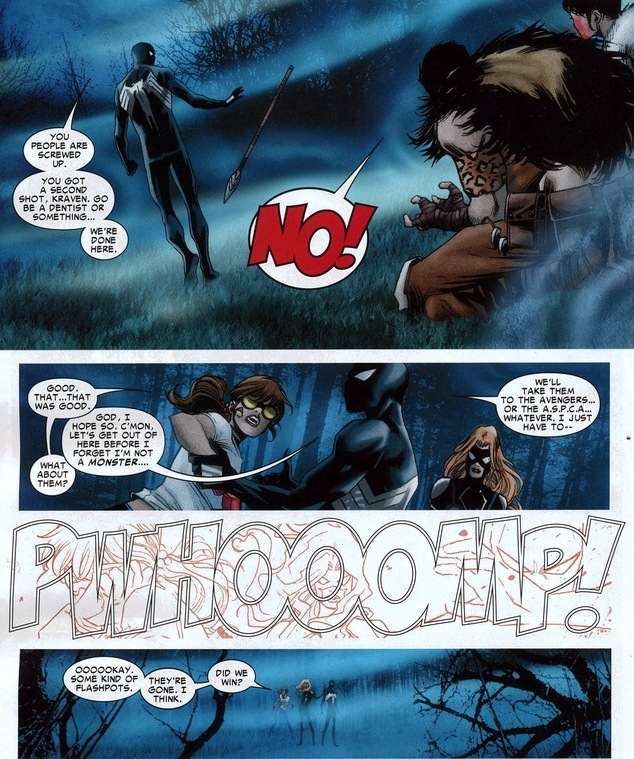 Maybe the Kravinoffs shouldn’t have given Spider-Man his black costume in the middle of night. 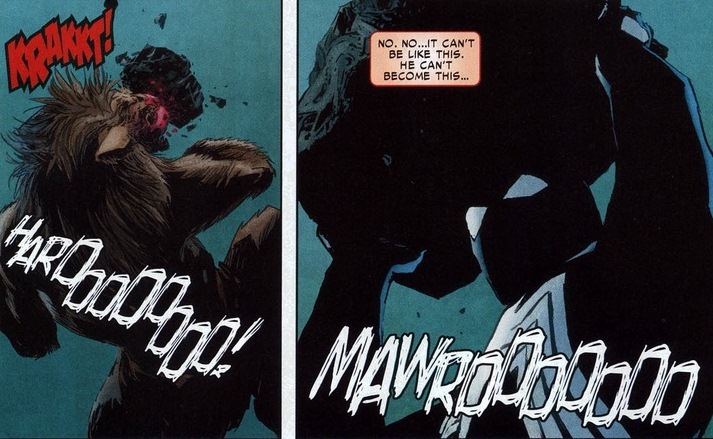 We’ve seen Peter brawl his way to victory, like against Kingpin, but now you lucky readers get to see Spider-Man fight in a vastly different manner. A much scary manner. I guess boredom builds after attacking elephants and tigers with rocks and sticks for a decade or so. 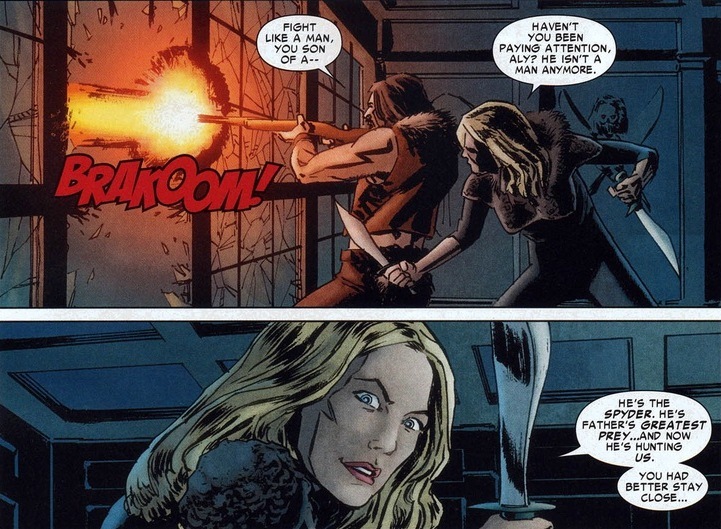 The Kravens set up this little game for Peter because it’s most likely the only way they can get that adrenaline addiction fed. Or they just like stabbing tough guys. 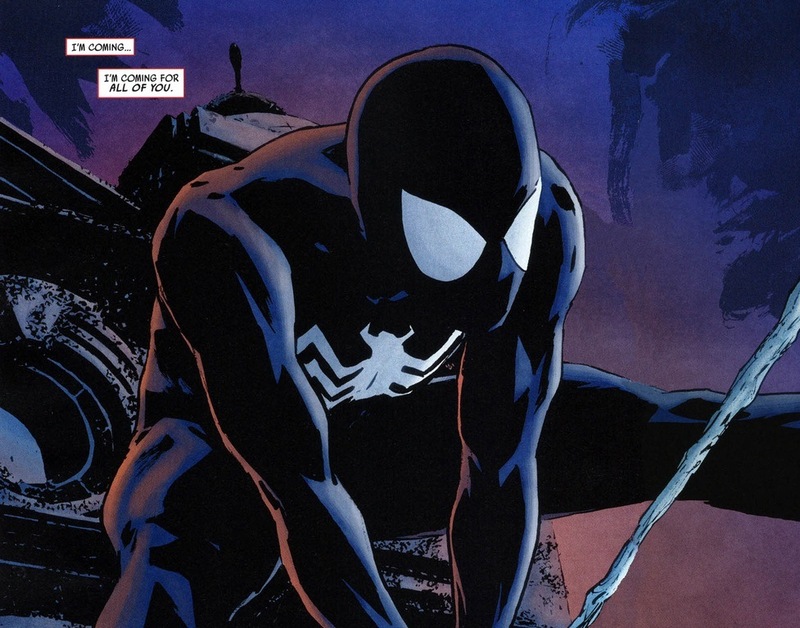 Look, Spider-Man may not be the strongest hero. He’s certainly not the fastest. He doesn’t even have any super cool laser powers or anything. But half of Spider-Man’s career has been him taking down more powerful foes simply by using grit, science and the enemy’s overconfidence. 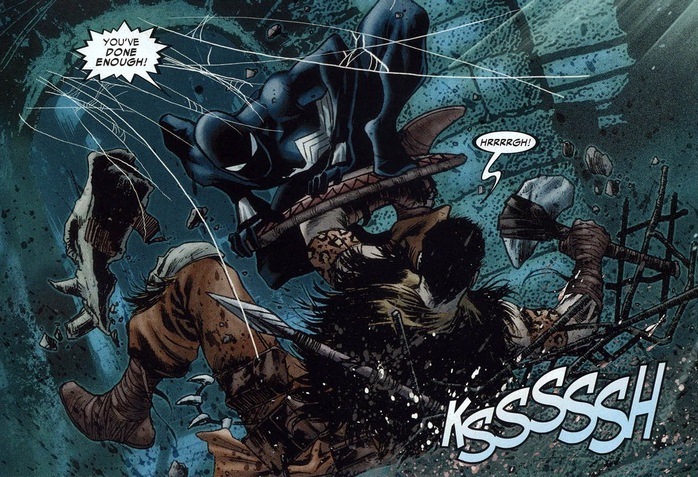 Spider-Man’ll fight dirty, because to him – this is definitely not a game. 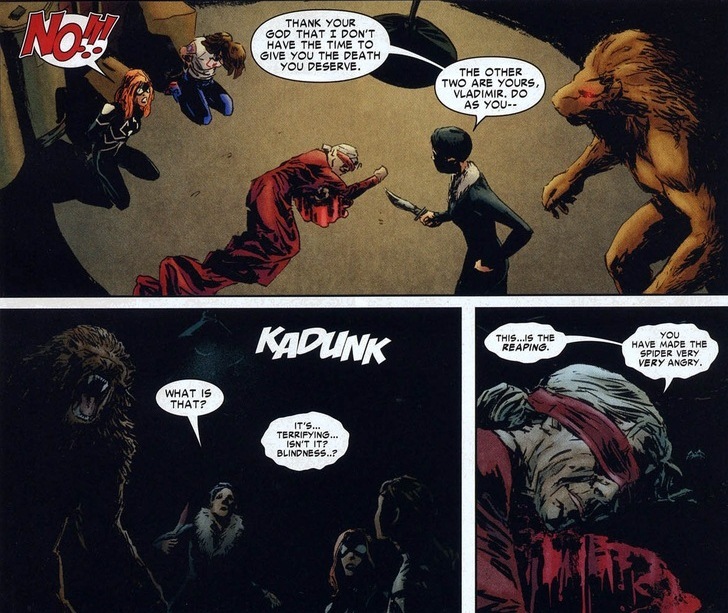 In case you didn’t realize what he did to Momma Kravinoff, let me explain. 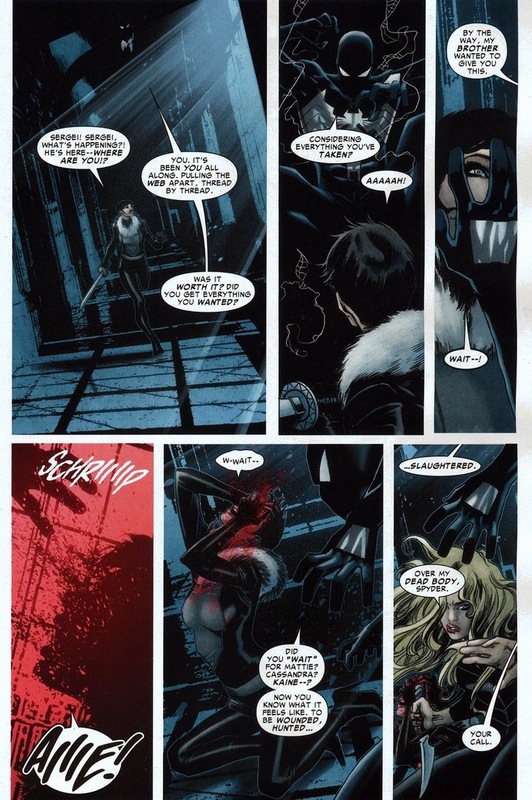 Kaine Parker could secrete acid from his hands. 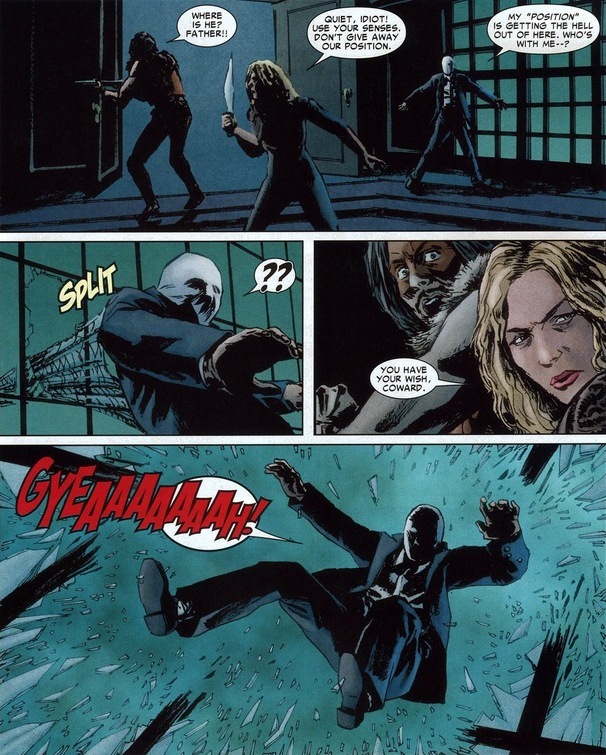 Think of Kaine’s acid face palm as his autograph as he traveled the world beating up bad guys. Spider-Man doesn’t have an acid power. But he does have crazy wall-sticking hands. You know, like if you took a huge glob of the world’s stickiest glue, palmed someone’s face and then ripped it off with super strength-levels of force. Scarring? Certainly. The most painful sensation of Momma Kravinoff’s life? Most definitely. Non-lethal? Totally. A very bad idea to hurt Spider-Man’s buddies. Finally the title fight you’ve been waiting for. 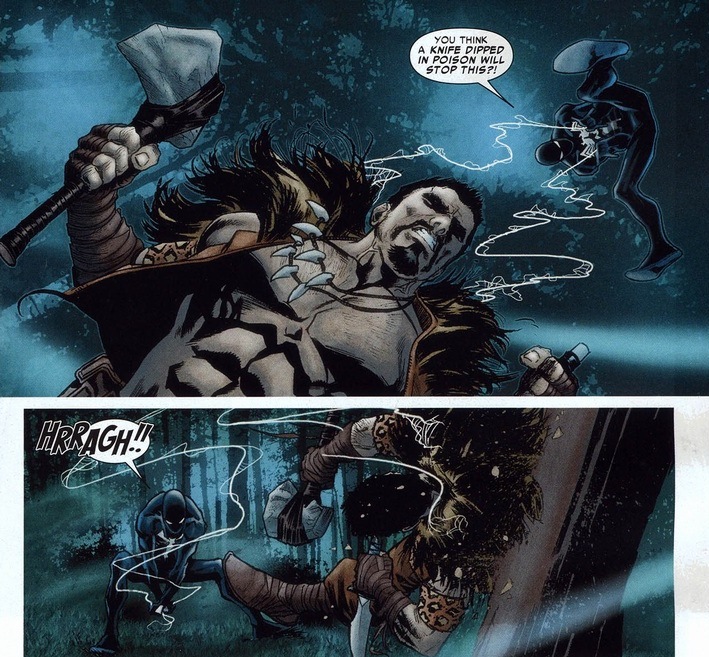 Kraven the Hunter has no superpowers. 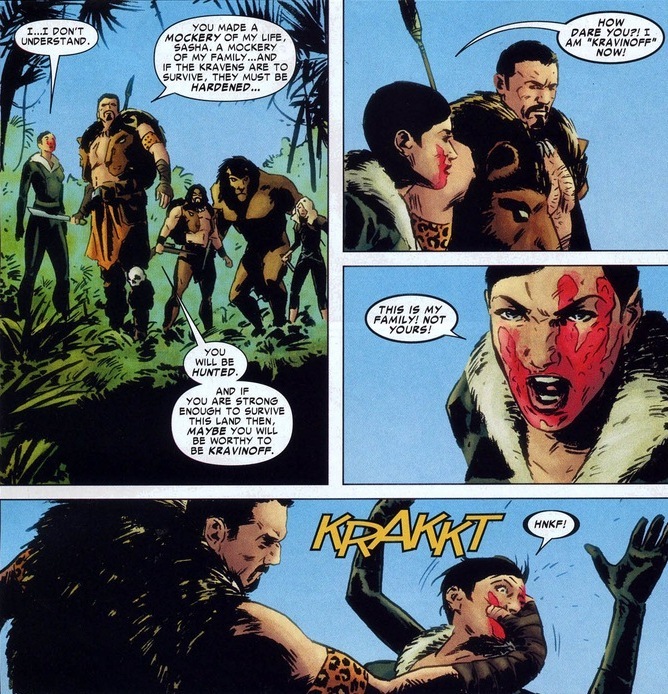 Sure, the man hunted the scariest jungle cats and wildebeests any mortal man has ever seen, but no panther can lift 10 tons and dodge rifle shots. 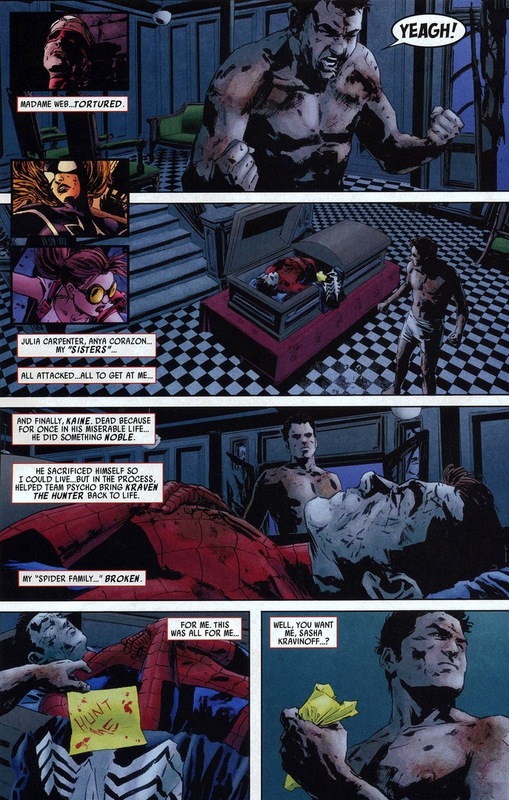 Oh, and want to see where Spider-Man stores the bodies of his defeated enemies? Iron Man and Hawkeye prefer prisons. But neither of those gentlemen have animalistic influences in their background. 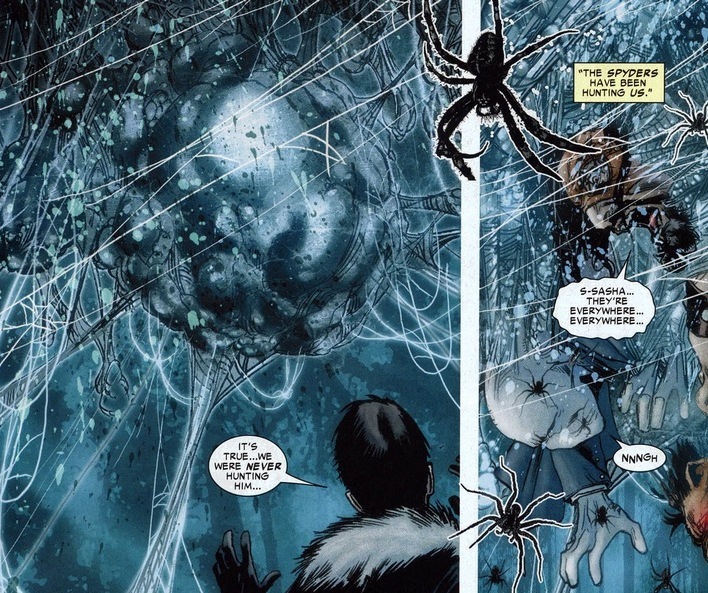 Y’know how I told you a few weeks ago that many Spider-Man comics in the early 2000s explored whether Spider-Man’s powers came from science or magic? That debate hasn’t really been answered. Back to punching. 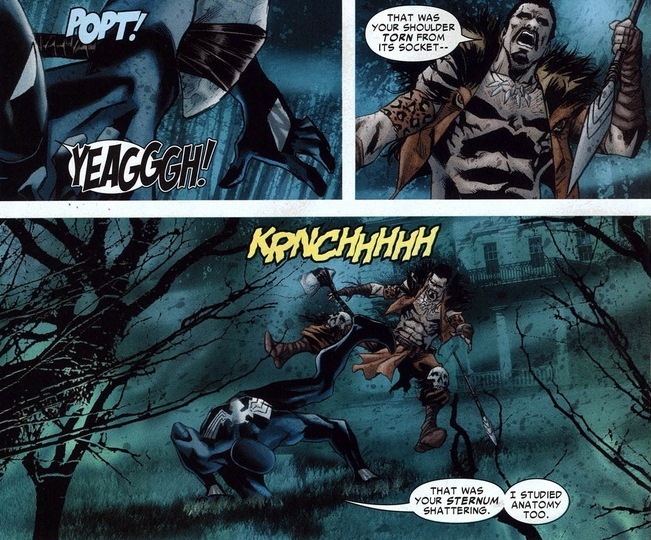 Honestly, Kraven’s bitterness took center stage as soon as he sprouted from his grave. The dude’s miserable, can no longer return to the peace he once had, and now Spider-Man left him to rot and stew in his own self-loathing. As it should be. Where’d they go you ask? Far away. Very far away. 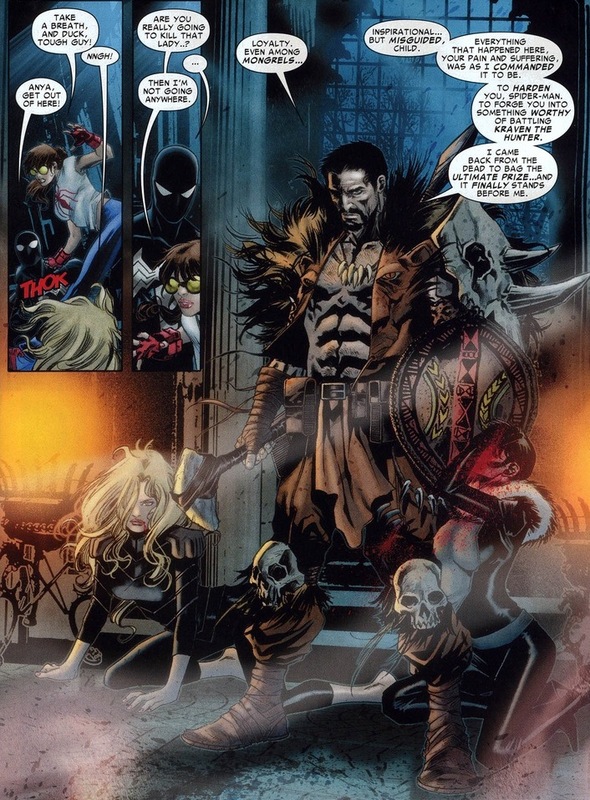 But don’t you worry, no matter how many gravestones the Kravens burst out of, they’ll always still be the same ol’ Kravens. 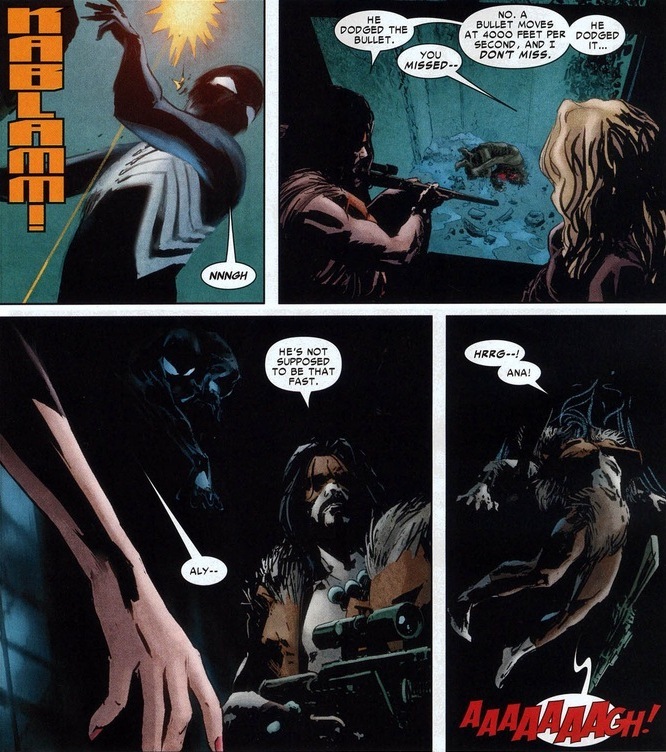 The angry, egotistical, emotionally-fragile Kravens. The end. I guess, happily? Though if you do want to catch up on the sociopathic Tarzans, Hulk just recently squashed most of them into paste. Karma, man.